There are some possibilities can cause you lose drive partition on Windows. From accidentally pressing the wrong button when using partition manager tool to technical errors caused by inappropriate use. Don’t panic so badly when losing your drive partition, there are several partition data recovery tools out there to help you restore deleted partition. Disk Drill is one of which. Disk Drill (formerly 7-Data Recovery) is a partition data recovery software for Windows that has an easy-to-use user interface, which can run on all Windows versions. From Windows XP, Windows Vista, Windows 7, Windows 8 to Windows 10. 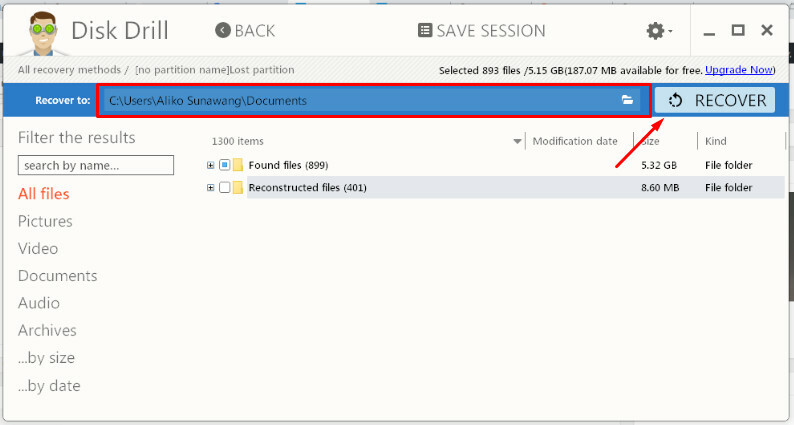 If you have never done the job of restoring deleted partition in Windows before, then read on. Before stepping further with our discussion of how to recover deleted files or recover deleted partition on Windows, there is a basic thing you need to know first. Windows uses NTFS as the file system format. The NTFS file system itself is developed by Microsoft and has been used since the first edition of Windows XP until today. Only Microsoft knows how exactly the NTFS works. However, there is one thing for sure. If you deleted a file from a hard drive that uses NTFS file system, the actual data is not really deleted, unless overwritten by the addition of another file. NTFS only marks the storage space as unused. Therefore, the data is recoverable. To recover deleted files or deleted partition on Windows, you need a recovery tool like Disk Drill. 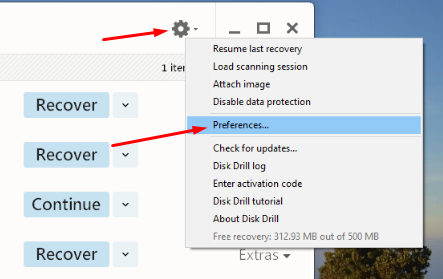 Disk Drill and the similar tools work by scanning the drive you want to recover the deleted files from to check if the files you want to recover still available. Once the scanning process is done, you can recover the files (if available). As simple as that! Not only the hard drive installed on your system, Disk Drill can also be used to recover deleted partition and deleted files of external storage mediums like portable hard drive or memory card. Regardless the file type. 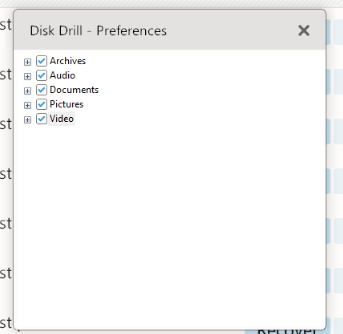 As mentioned earlier above, Disk Drill has an easy to use user interface. Anyone can use it, even if you have never done this sort of job before. There are two scanning types offered by Disk Drill: Quick Scan and Deep Scan. 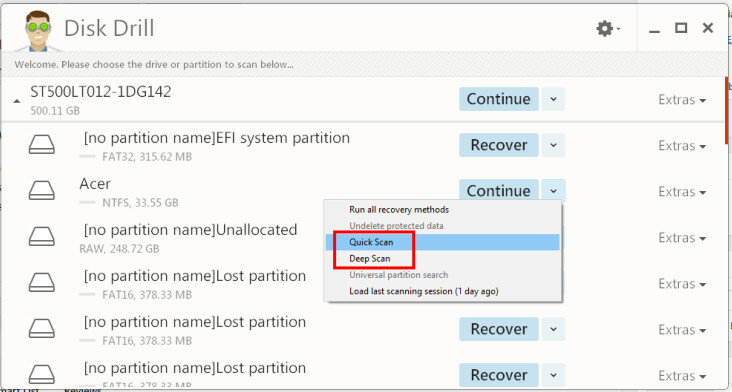 You can chose Quick Scan to recover recently deleted files and Deep Scan to recover older deletions. One crucial thing you need to know regarding the file recovery process. It takes time for Disk Drill and the similar tools to scan your hard drive. The duration depends on your hard drive capacity. For example, it takes about 2 hours for Disk Drill to scan the entire partitions of a 500GB hard drive. Regarding this issue, Disk Drill offers pause feature to allow you pause the running scan to continue later. In addition, Disk Drill also allows you to save the current session into a file and load it later. Imagine this case. You are scanning a 500GB hard drive using Disk Drill at night — in which take about 2 hours. Once the scanning process is done, you are too tired to select which files you want to recover and you think it’s better to continue the job next morning. This is how the feature of “Save Session” comes into play. You can save the finished scanning process into a file and load it next morning so you don’t have to repeat the scanning process which can waste your time. To save the current session, you can simply click the SAVE SESSION on the top bar. While to recover, you can click the gear icon and select Load scanning session. You can download the binary file of Disk Disk for Windows on its official site. Installing Disk Drill is extremely easy. Simply double-click the binary file of Disk Drill (EXE file on Windows). Assuming you have install Disk Drill, here is how to use Disk Drill to recover deleted partition or deleted files. Launch Disk Drill on your computer and determine the drive you want to restore the deleted partition of. Click the arrow button and select Deep Scan. Wait until Disk Drill is done scanning your hard drive. Once again, this can take time depending on the capacity of your hard drive. Once Disk Drill is done scanning your hard drive and found the deleted partition you mean, select it and click the Recover button. Select a folder where you want to recover the files and click the RECOVER button. That’s it. You have successfully restored your lost partition. Quick tip. If you want to use Disk Drill to recover deleted files, you can instruct Disk Drill to scan only the file type you want to recover, image for instance. This can shorten the scanning process. To do so, click the gear icon and select Preferences. Unselect the file types you want to exclude. Don’t panic if you you lost a drive partition on Windows because you can get it back. 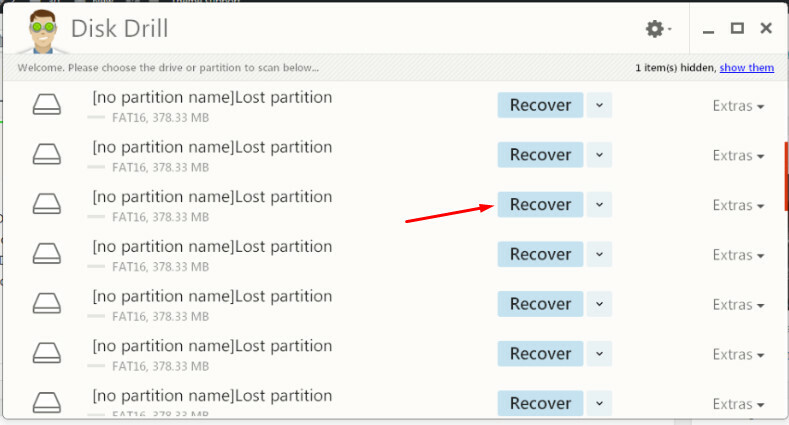 You can try recover the lost partition using Disk Drill. It is a free data recovery software for Windows with an easy-to-use interface. Thanks to this tool, you don’t need to call a technician to restore your data. Disk Drill works on all Windows version. From the very old Windows XP to the current version of Windows 10. In addition to NTFS like mentioned above, Disk Drill also supports FAT file system. 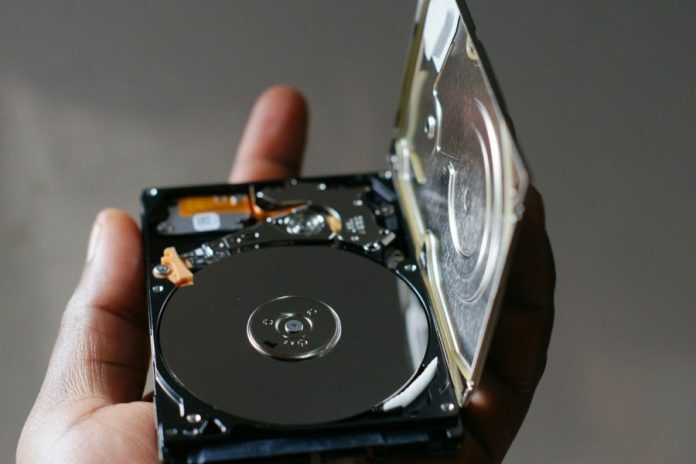 Not only the hard drive installed on your computer, you can also recover deleted partition or deleted files on external storage mediums like portable hard drive and memory card. The free version Disk Drill only allows you to recover 50MB of files. You can buy the premium version to recover more files.